Below are the various meats from different animals I have eaten for dinner, I didn’t bother taking pictures of the pita bread or vegetable dish because they don’t seem overly exotic on my piece of being a Carnivorous! You cannot feel more primal than grabbing this piece of lamb bone in your hand and ripping off the meat with your teeth, the little plastic glove that was handed to us is a sad attempt to act more civilized during our beastly act. It was really delicious, it was grilled with a lot of different kinds of herbs and spices that blended really well together. 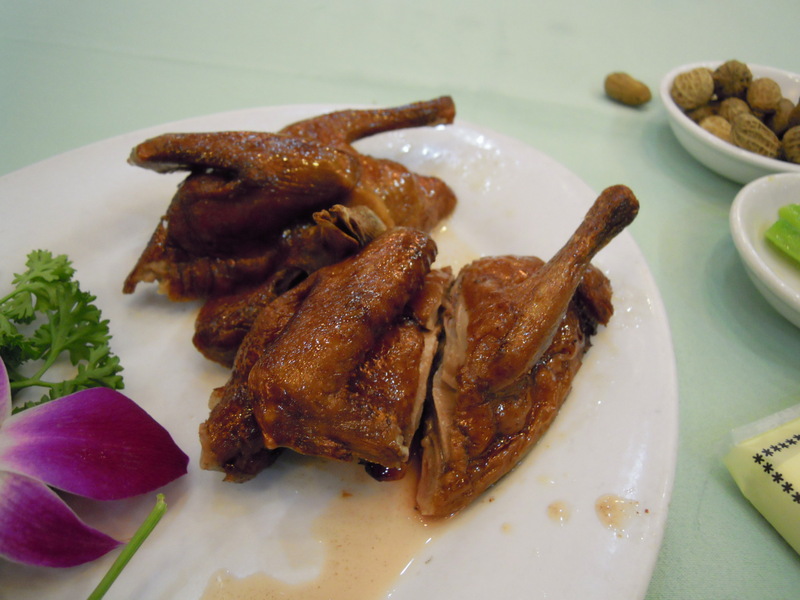 I love eating deep fried pigeons dipped in a speical blend of salt and soy sauce...this is not the type of pigeons you find running around in parks. 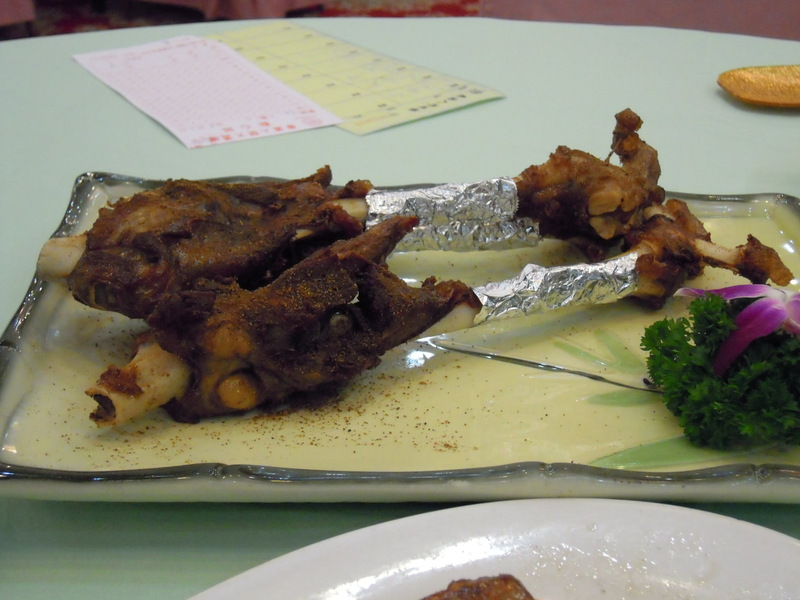 I know it would be hard to swallow for many people, but the method that is cooked makes pigeons oh so yummy. I could inahle 2 all by myself...but too much on the table for dinner, so the 3 of us shared 1 pigeon. Alright, this pork dish should not be shocking to anyone...I was told by the chef this is a very popular dish and very complicated to master to pefection. 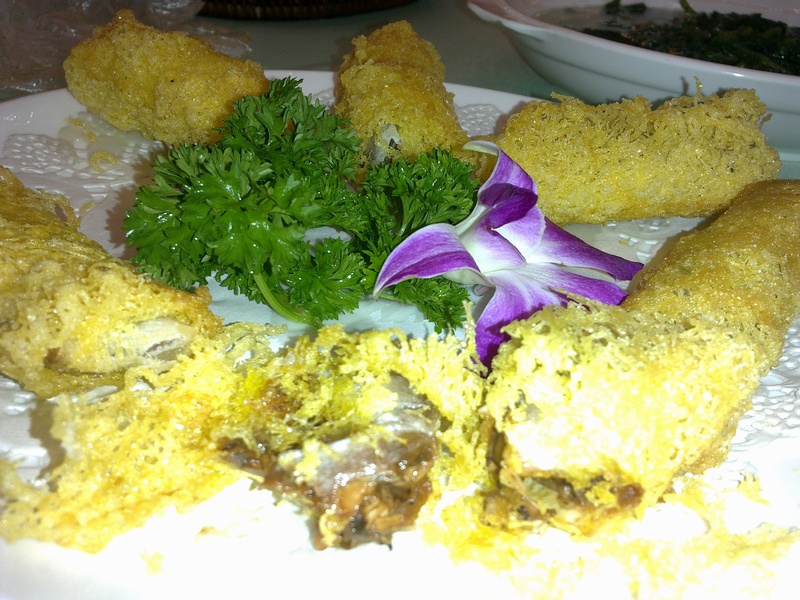 The outside is as crispy as a spring roll while the pork inside retains moisture and juice, and when customers bite into it, steam and juice should come off the piece of meat. 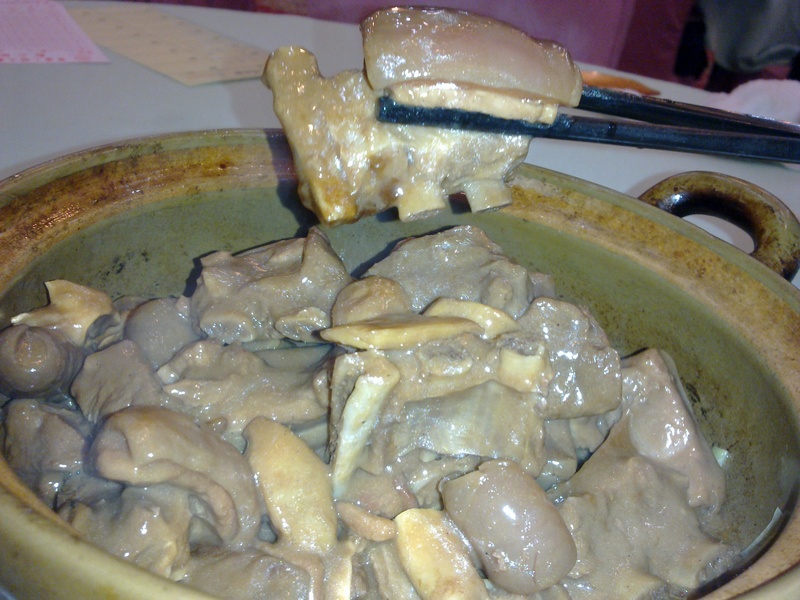 It was very yummy with a hint of preserved beancurd marinade.